Work as part of a team to implement project activities in accordance with organization and donor policies and procedures and ensure funds are used in line with the purposeReview on-time program expenses against approved budget, program report and deliverables as well as supporting documentation to check for allowability, allocability andProvide on-time grants and financial management technical assistance to program staffIn collaboration with KK’s Senior Program Manager prepare on-time monthly/quarterly cash requests and all liquidations to donor; ensure that Chief Finance Officer (CFO) and Chief Executive Officer (CEO) (at the WAMATA Head Office)approve and endorse them before are submitted to donorEnsure timely tracking and projection of cashWork closely with Program team and other staff members in the compilation of data and preparation of monthly, quarterly and annual reportsDaily Support and Monitoring of all program Financial & Grants Management Aspects including internal controls and FraudCarry out other Finance related duties assigned by KK’s Senior Program Manager and WAMATA’s Chief Finance Officer (CFO). 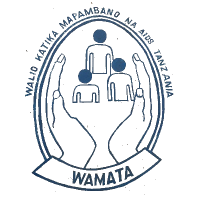 wamatadar@gmail.com Closing date for applications: 15th September, 2018 at 16:00hrs. (Only shortlisted candidates will be contacted).